GoDaddy’s GoCentral is the simplest website builder I’ve reviewed so far. Whether that’s good or bad depends on the type of user you are. I’ve previously reviewed my experience building a website on Wix, Squarespace and Weebly. Today, we’ll look at GoDaddy’s GoCentral. GoDaddy launched the GoCentral Website Builder in early 2017 with much fanfare including a SuperBowl ad. GoCentral is different from the other website builders I’ve reviewed so far. It’s meant to be simpler and easier to get started. Users should be able to create a website in under an hour. It’s also mobile-first, meaning it was designed from the ground up to build websites on a mobile device. The first step you take to build a site with GoCentral is to pick a category. 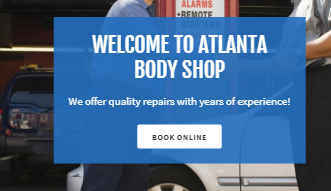 I tried to stump GoDaddy by picking a category I thought was esoteric: an auto body shop site for AtlantaBodyShop.com. 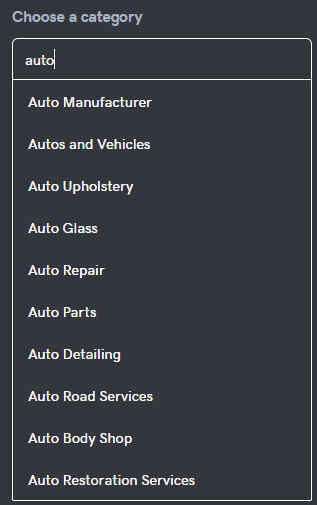 To my surprise, there were many variants to choose from including auto repair, auto road services, auto restoration and yes, auto body shops. Later, when speaking to GoDaddy, I found out there are 1,600 categories in the system. This list changes based on popularity and is even localized. For example, customers in Germany can choose an Oktoberfest category. Once you pick a category, GoCentral creates a fairly good website that just needs a few content blocks filled out. It even takes information from your GoDaddy account to populate information such as your address and phone number. You can also select from a few different design themes on top of the template, as well as a color scheme and font. This just changes the overall feel of the site while the elements and content stay the same. The templates are designed with the elements each type of business needs. For example, the focal point of my body shop page is a “book online” button. With the cheapest plan, the Book Online button sends visitors to a contact form. With more advanced plans it sends them to an online scheduling system. Once the basics of the site are in place you can start editing content and adding pages. One area in which GoCentral is unique is that it offers a different experience and integrations for each type of business. For example, restaurants will be offered an integration with OpenTable. There’s even a difference in site components based on if a restaurant is fast casual or fine dining. GoCentral is by far the simplest website creator I’ve used. That simplicity helps GoDaddy meet its goal of enabling people to create a website from their smartphone in under an hour. Heidi Gibson, Sr. Director of Product Management and Marketing at GoDaddy, told me that over half of people outside the U.S. start building their GoCentral site on their mobile phone. Even in the U.S., about 40% do. Those are shocking numbers, and other site builders are going to have to play catchup. The simplicity and mobile-first approach does restrict flexibility, however. It’s not a drag and drop system and is made up of rigid blocks instead. If you need lots of flexibility and customization, GoCentral isn’t for you. GoDaddy recently made changes to its GoCentral packages that are a big improvement. The entry-level Personal package is $5.99 a month. It includes the basic features and SSL, which was not in the Personal package until just recently. The business package at $9.99 a month adds a PayPal Buy Now or Donate button and additional SEO tools. 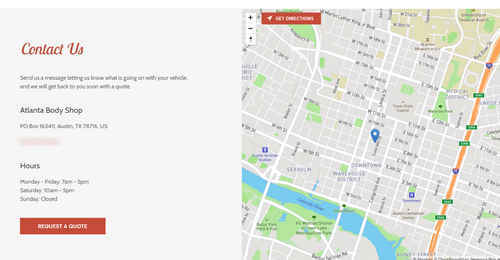 If you want to accept online appointments, accept credit cards, send email marketing, connect to social media accounts and connect a business listing on Google My Business, the Business Plus package is $14.99 a month. An ecommerce package is $19.99 a month. For most local small businesses, the Business Plus option is likely the best choice. But the personal plan is a good starting point for a company making the move from no website or a Facebook page to a website. Publishing is simple, aided by the fact that GoDaddy is a domain name registrar. Because there’s no drag-and-drop functionality, you can expect your mobile site to be clean and function well. There’s no separate editing of a mobile version. With my Personal site, I was able to make basic SEO improvements such as changing meta descriptions. You’ll need to upgrade to the business plan to get additional SEO features. Also, there’s no direct connection to Google Search Console. Adding Google Analytics and even a Facebook Pixel are very simple as well. GoCentral is a great choice for small businesses. It’s the easiest site builder I’ve tested, and it should be simple for even a novice to create a site in under an hour. If you need lots of flexibility and customization, then GoCentral is not the best choice. For people busy running their business cleaning homes or seating customers, it’s a good bet. How much would .Com domains cost if .com went out to bid? Does “Personal” mean it has to be used for personal use and can’t be used for business use?